I read this article and found it very interesting, thought it might be something for you. The article is called Hemlines: A Crystal Cornucopia and is located at https://www.totallydublin.ie/more/fashion/hemlines-a-crystal-cornucopia/. 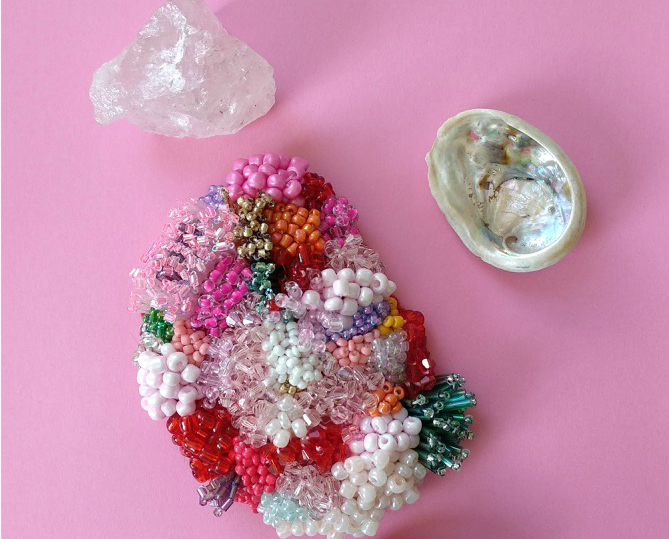 Evoking the contents of half-cut precious stones – all glimmering clusters and glittering crystals – Kim Fulton’s hand-crafted brooches are a sight for sore eyes. 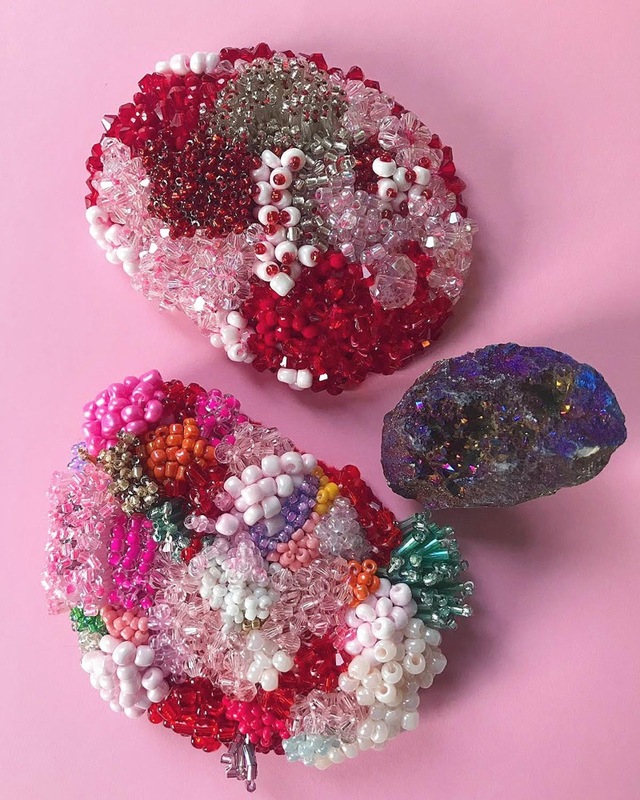 The LSAD alumna is currently immersed in a Professional Masters of Education in Art and Design at NCAD, coupling her studies with creatively-charged experiments in beading and embroidery. Fulton’s polychromatic work initially pulls from abstract shapes in her drawings, paintings, and photography, ultimately resulting in ultra-textured and intricate pieces that wouldn’t go amiss at a Gucci showcase. A godsend for those who value ornate accessories over monochromatic wares, Fulton is only set to further her maximalist label as 2019 ticks on, with adorned neck-pieces, wall-hangings, tapestries and other forms of wearable art set to be revealed soon. In the meantime, magpies can dine upon her recently relaunched website, kimzyful.com, with brooches retailing at €80 a-piece.